Smoothly run conferences and seminars don’t just happen by magic! There are a multitude of aspects to consider and there’s a lot of work goes on behind the scenes to make sure everything is just right. 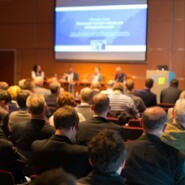 If your conference booking system involves maintaining several spreadsheets and relying on email updates to keep everybody up to date about your conferences and seminars, you’ll appreciate some of the benefits that having CABS, - the centralised, multi-user event management system - can bring. The whole team has up to date information about every aspect of your event – visitors, catering, rooms, equipment, you name it! Every change is tracked and recorded; you can even set up to-do lists to prompt team members to check this or follow up on that, and CABS lets you know if something isn’t getting done. Why not cut out the unnecessary work so that you can focus on what really matters – ensuring your next conference or seminar is a great experience for all involved – especially you - by taking a good look at what CABS conference booking software can do to help?